I couldn’t agree more when Garry Winogrand said “I have a burning desire to see what things look like photographed by me”, but would also add, I have a burning desire to see what things look like photographed by everyone else. 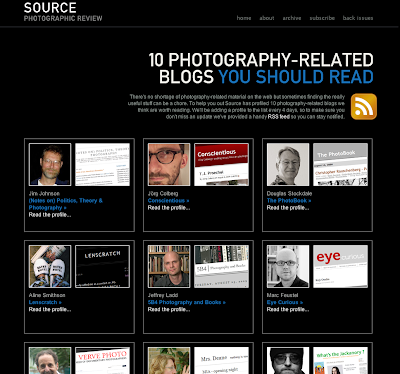 Source Photographic Review has included Lenscratch in the 10 Photography-Related Blogs you should read. 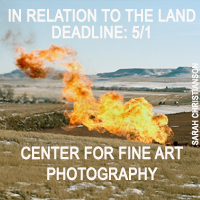 I an honored to be in the company of fantastic blogs like Conscientious, Mrs. Dean, What’s the Jackanory, Exposure Compensation, Verve Photo, Eye Curious, The Photo Book, 5B4 Photography and Books and Notes on Politics, Theory & Photography. contemporary photography located in Belfast, Ireland.